The band have frequently referred to their style not just as power metal, but as extreme power metal. Herman Li commented on descriptions of the band's style in an interview with Guitar World: "'Nintendo metal', 'extreme power metal', 'Bon Jovi on speed', 'Journey meets Slayer', ... people are always coming up with weird labels for us." 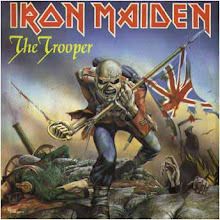 The band has sometimes been mislabeled as a speed metal band due to the fast tempos present in their songs, but always as a supplement to other types of metal descriptors. Spring 2009 Issue of Broken Records Magazine calls the band "Equal parts grandeur and Debauchery, Dragonforce doesn't do anything in less than over-the-top fashion." Controversy occurred in late 2006 shortly after the Inhuman Rampage tour went into full swing. The band performed at Graspop Metal Meeting in the summer of 2006 under the influence of alcohol. On top of that, the band had many technical difficulties with the guitars, which at the time was the most "stand-out feature" in their music. The band also drop-tuned their instruments to E flat tuning for the first time. Herman Li stated, "Graspop Metal Meeting of 2006 was [a] total disaster. The technician we had back then didn't even tune the guitar, and no monitoring was done properly. We didn't hear anything...". He also said that most of the Inhuman Rampage tour was bad overall due to technical difficulties. Due to all this, the Graspop 2006 performance is considered the band's worst performance and was enough to convince many DragonForce fans that they couldn't play live. 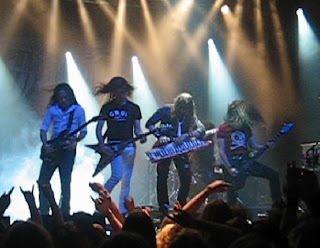 Many rumors circulated around the internet that DragonForce faked their music in the studio and the guitar solos were sped up. Although it has since been proven untrue, the band still lost many fans due to these rumors. The gig also earned the band the nickname "Studioforce", meaning they relied on production for their full sound and couldn't play their own songs live.